I have had knee pain since 1 month. There is a slight pain in the knee only when I am bending it. I had my left knee pop about 4 months ago. It still hurts badly when I walk or basically do anything. I have seen a doctor but nothing has come of that. I was in a hinged brace for 2 months. I have been doing physical therapy for 3 months now nothing seems to be improving. MRI and x-rays show nothing. I wonder what could be causing my knee pain. It is mostly on the inside of the knee, hurts to even touch. I am stronger yes, can walk without limping as much. I fell on 14th of July and twisted my knee and ankle really bad. It still is bothering me. Not so much when I walk but when my ankle gets turned to the outside. My knee and foot ache all the time though. The symptoms of my knee pain has lasted 6 years so far. I got bone spurs in both knees skateboarding when I was 20, then tore my ACL (anterior cruciate ligament) and meniscus, and dislocated my knee cap when I was 21. I have since had 4 knee surgeries, 3 ACL and 1 meniscectomy over the last 5 years. I am in constant pain due to the bone spurs, and have to wear a brace for up to 2 years post operation on my right knee when performing uncontrolled actions. I am not overweight, and swim/hot tub, do recumbent bike for cardio, lift weights sitting down, do squats, modified yoga, core exercises, and ice it. I am still in excruciating pain daily. All of my 20s so far I have spent injured. I have a pain in my right knee bottom left of my knee cap and it has been there for 2 month now. It is not painful on walk it just bothers while staying still. My popliteal tendon has come off my knee bone. I'm waiting to see a surgeon about it. I am not sure if it is normal for my knee to lose its feeling, I'm quite concerned. I have no knee pain but it pains unbearably if my knee bangs on any object by mistake. I had fish poisoning and my knee was paining at night. It was very painful. I rubbed deep heat rub and took 2 Panadol and it was relieved after 30 minutes. I have had knee pain for 4 days now. I woke up last Friday with sore knee. When I bend my leg the pain is in the front of the knee just below the knee cap. When I walk I only have slight pain but when I rest and then get out of a chair the pain is there. I fell but my knee didn't hurt until next morning. It is stiff and sore in front and the back of knee, going down outside of leg to ankle that tingles. Pain is constant and sometimes severe. I have osteoporosis. I don't know if I tore a muscle tendon or something. It has been 7 days and is getting more painful and stiffer every day. I had knee surgery 30 years ago, I have a long lasting pain at top of tibia. I had my right knee scoped last year. I am now experiencing pain on the top outside of the knee. There is some swelling, tender to touch and pain on the back going from thigh to lower leg. The calf is also tight. I have knee pain after driving for three hours. I only have pain when standing or walking. No swelling or signs of inflammation. I only experience pain when putting weight on knee or trying to stand or walk. I have been having knee pain for over a year now. My knee pain has been going on for 28 years now. I had a torn cartilage which was trimmed and they took 30 percent away. That was on 18th December 2014. I have been back to the surgeon and my doctors and the knee pain is excessive. I take morphine patches and codeine tablets. It doesn't relieve the pain at all. I wear a knee support and still it pains. Doctors say all is fine, I know it's not. My knee pain began with frog kick when knee would lock up with sharp pain on bend part of kick on the right knee. I could poke right side of the knee and find the sore spot. Now it hurts to sit down on a low chair and sometimes on the loo. Walking on beach is still okay as it is forward motion. I want to do a camel safari and not sure if I need to wait. Also wondering if it is cancer or usual wear and tear. I used to ride kick start motorcycles so it is maybe from that use. 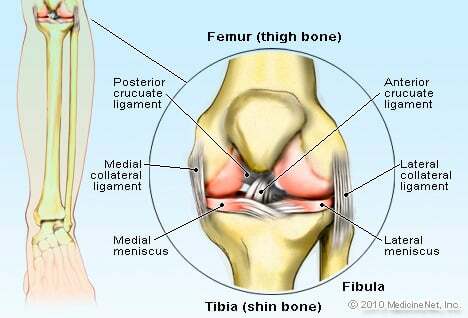 I am having a mild pain in my left knee (right outer side above knee cap). I usually have it after the day after my run if I have been running for 2/3 days in the row. I have no swelling and pain doesn't increase while doing my daily chore. My knee pain was caused from falling. It started 2 years ago before l found out I had torn my ACL. I had to have surgery and four months of therapy. I have had chronic worsening knee pain for three months, and have been wheelchair dependent since July last year. My specialists are playing pass the buck with me as they can"t work out whether it's the rheumatoid arthritis, fibromyalgia or Sjogren's that"s causing it. I just had normal x-rays back, but not had an MRI or arthroscopy yet. Pain is horrific and I can"t take most of the pain relief available due to gastritis or allergy to. I have no idea how to find out the cause or to get treatment. All I can say is, don"t have several conditions at once! It seems to make things much harder when looking for diagnosis and treatment! I have knee pain all the time when I get up trying to work. One day my knee is just fine and walking on it, and then my knee goes out. Then I tried to walk it off and it's just fine but then it goes out again. I work in an office and do sitting job almost for 8 hours and feel pain in my knee joint. There is crackling sound like rustling paper when I am bending my knee. I got knee pain at the right side of my knee. It hurts when I bend it. She is suffering from severe knee joint pain for 4 years since the time she got affected by chikungunya. I have had knee pain for 3 weeks. It is getting worse every day. If I rest it feels better but when I walk it is very difficult. Pain in the back of knee. More prevalent when trying to squat. After sport no swelling. No definitive point of pain, generally at the back of the knee. I was bending down one night at work to put something in a safe-like box. I twisted, felt knee pain, but was unable to stop the twisting momentum before I felt a pop in my right knee. It hurt some but not too bad. Now, every time I bend at the knees, I feel this pain as if my knee is about to pop. Usually I can correct and stop it, but tonight, I was unable to, and it popped again. I didn't have much pain at the time, but now, I have pain when I get up and walk around, not when I'm sitting. There is no swelling. My knee pain is ongoing. Soon after joining a health club last September I started having knee pain. I was on the treadmill and also into weight training involving leg lifts etc. I have a torn cartilage in my right knee. I take Celebrex and now I am using Advil. I change pain medications time to time. My only option is surgery to repair cartilage, but there are no guarantees this will alleviate the pain entirely. Celebrex has a low effect on pain until taking in four days or more. So far Advil has helped the most even better than Tylenol arthritis OTC. I've had right knee pain since 1995 after a fall. First, I had arthroscopy done in June of 1995 for my torn medial meniscus. The pain continued, so I had a second arthroscopy done in 1998. The pain continued after that surgery, and by 2005, I was unable to walk. An MRI showed torn medial meniscus and so I had a third arthroscopy done. In 2007, I went back to orthopedic surgeon with the same symptoms, only this time I had the feeling of something getting caught and then a loud snapping or popping sound. I was told basically to deal with it, and that my pain management doctor would have to write my prescriptions. (I had gone to this orthopedic surgeon since 2000 and never had this man written a prescription for me.) He talked to me as if I was seeking drugs, and all I have wanted for 13 years is to have my knee fixed properly. I developed a severe pain in my left knee and I didn't remember injuring it. I do play a lot of tennis, but I don't remember it hurting during my tennis matches. I did notice tightness in the back of my knee after sitting through a meeting at my office. It was real tight, and it gradually got worse and moved over to the front part of my knee and down into the back of my calf muscle. I almost needed crutches for a couple of days because it really hurt just to walk. Now, it is two weeks later, and it is feeling a lot better. However, the tightness of the muscles and the tenderness of my calf muscles are still there. It is much easier to walk now. I have been having pain in my knee when I am walking or skating and I noticed that my knee is leaning in so it is not in line with my leg. It is painful and sometimes I have to stop what I am doing because it is painful. I have gone to the doctor for an x-ray but he said that there is nothing wrong. I don't believe a thing that he said because I definitely think that there must be something wrong with it. I have also experienced pain in the right knee and now occasionally I have pain in the left. It hurt so much today at work, which is why I am looking it up on the Internet tonight. I suppose I will have to just go and see my doctor on Monday. I don't want to but I am thinking that now I have to. The pain is getting too great. I have been grinning and bearing it for nearly 2 years. Game over. I can't even walk for exercise anymore. I was diagnosed with Osgood Schlatters disease back in the 70's, when I was 11yrs old. Now I am 46 and the pain has become unbearable at times, I must rest more often and climbing stairs hurts, after a 15 min walk, my knees swell up. Other than surgery, what else can be done? I first experienced a pain in my knee cap in my right leg. If I start running or walk in a straightened manner I felt a pain in my knee cap. If I put some pressure like lifting some weights I get that pain. I use to apply some oils on that knee portion. Now recently I experienced the same knee pain in left leg also. I have pain in the inner side of the knee. I got my heel caught in my flare leg pants and started to fall down the stairs. Attempting to stop the fall, I twisted my leg and heard a pop sound. I did manage to stop the fall but at the same time twisted my leg badly. I had pain for a day or two and I was able to walk right away. I still am able to walk, kneel and go up and down steps with no pain, but during the night I get intense pain which wakes me up during the night. I'm not certain how I am laying that causes it as I toss and turn during the night, but when I move my position and lay on my back, the pain goes away within a few minutes or so problem is I can't sleep on my back. I never have pain when I wake up in the morning, but I do have a lot of pain-filled nights. Do you know what is causing this and how it can be avoided? I am 57 years old male. I used to jog daily for 3-4 Kms. daily. For last couple of weeks I developed in my right knee. No tenderness. It is in the inner, upper portion of the knee. I have not yet taken any medication. Only I apply little pain balm and use knee cap. I get relief after taking rest. It is more or less normal in the morning, but pain is noticeable by evening. I had total knee replacement of the right knee a year ago because of severe osteo arthritis. The surgery was unsuccessful as the level of pain has continued to increase since the surgery. It has come to the point that I'm unable to stand or walk for more than very limited periods. The level of pain is much worse than before the knee replacement. I'm pretty much confined to use of a wheelchair now. I would never recommend anyone to have a knee replacement. Just put up with the pain. I wish I had. Believe me it can get worse. My knee started hurting till it made me limp. I applied permanent (North Pole or negative pole) magnetic therapy to my knee for about three hours one evening. The next morning my knee showed much improvement and has continued to improve, plus the swelling is gone. The magnets used were one inch thick, four inches wide and six inches long. I have used magnetic treatment for years on my hands to relieve arthritis pain and swelling. I was having severe pain on the right hand side of my knee. I could no longer get up off the floor when bending down however I am having surgery soon but in the mean time they gave me a prescription of Celebrex for the inflammation and it took about 1 week but it has helped 95% with the pain. I also have a loose body floating around besides the tear. I have a torn ligament in my right knee and it's been giving me pain since January 1 and I haven't had anything done about it. So help me out please. My right knee has become very painful and swells to the point I cannot bend it. The swelling goes down but I can barely stand or walk. I have not injured myself, so I am a bit confused to why and what is causing the problem. I recently began playing tennis after not playing for over ten years. My knees throb with pain after playing, Aleve seems to lessen the pain, my concern is will this pain continue or will it go away as my muscles get reacquainted with the tennis court. I have severe pain in only one knee that occurs when I bend or squat, or get down on the floor to do something. The pain is very severe almost like I am being cut. It also comes when I am in the bed and my leg is totally straight. I have recently had an x-ray but the doctor did not find anything. What does this sound like? I felt as if I had pulled something in my back, lower left side. I assumed it was a delayed reaction to a workout I had done earlier. The next day the back pain was gone, however, that night I was mopping and when I exerted pressure on the floor, the back started hurting again and the pain traveled down the upper left quadricep, all the way into the knee. That was 3 days ago. The back pain is gone, but the knee still hurts. I have used hot/cold application and an ace bandage. I have never experienced knee pain like this before. I had two knee operations 2 yrs ago by two different doctors. My left knee was a problem ever since. I got worse and pain pills stopped working. At night I did not know where to put my leg because of the pain. A trip to the knee doctor resulted in a planned knee replacement. However a family friend suggested I take (as he did) Glucosamine as he does. I took it for about 4 days 3 tablets a day and the pain went away completely. I shop now and garden as well as cut the lawn. I went to our GP and he examined my walk etc. and said if it works to continue use. I called my surgeon and canceled the surgery. I say a prayer of thanks for our friend who saved me from an operation. I am a 25 year old personal trainer in peak physical condition. I have severe pain in both knees under and above the knee cap tender to the touch. They always feel stiff and I practically limp the first few hours of the day. It has been ongoing for 7 years now and getting worse. I have tried everything from MRI, x rays, ice, heat, therapy weight training rehab, chiropractic care, sports medicine and no one can seem to help me what do I do? I have suddenly developed pain in my left knee on the inside of the kneecap. It began with stiffness and developed into a dull ache. I hoped that it would go away after a few days, but it is still lingering with me. Meanwhile I have given up by physical activities such as yoga and walking. I tripped 9 months ago and the pain in the right knee has worsened over the months where I am off work sick. I have had an MRI scan and am awaiting result. My knee pain symptoms are pain when doing stairs, especially going down stairs pain when getting up from a sitting position and pain upon kneeling also terrible grinding noises going up the stairs. I now have to use a cane to go up and down my stairs, and I exercise 4-6 times a week. Regular walking doesn't hurt so much, but sometimes my knee aches so badly at night it inhibits sleep. My insurance is effective in January so I will see the doc then, as it has been almost 2 years of gradually increasing pain in my knees! Though the left knee is considerably worse. I'm suffering from knee pain 24/7. It is mainly concentrated on the lower inside of my right knee. Up until the age of 70 I was very active athletically, first basketball followed by golf, no carts. 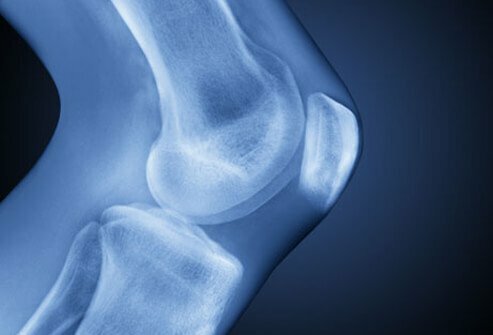 With the arrival of present cold spells my knees in general have been stiff and sore, but the problem with my right knee became severe about two weeks ago. I visited a doctor and he prescribed a Voltaren Gel (diclofenac sodium) and a knee support; a minor improvement. The knee pain occurs primarily when I apply weight pressure on the leg.